Director Gregory Simmons and actors Kwaku Driskell, Lawrence James, and Lawrence Winslow talk about Jitney , August Wilson, and The Gallery Players. 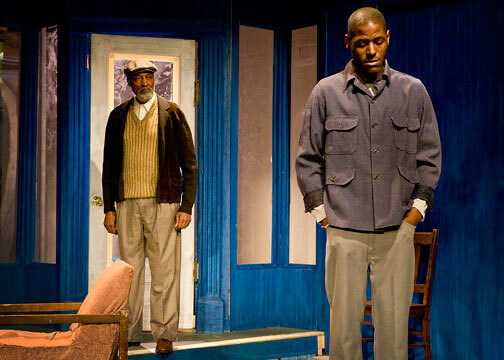 (l to r) Terrence Charles Rodgers and Franck Juste in August Wilson’s Jitney . Photo by Bella Muccari. 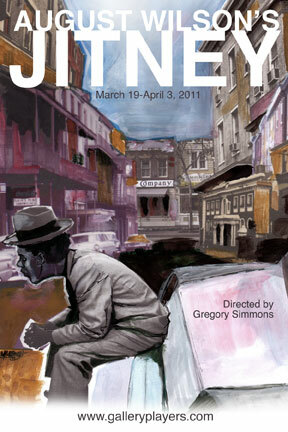 Set in 1977 in the Hill District of Pittsburgh that is served by a makeshift taxi company, August Wilson’s Jitney is a beautiful addition to the author’s decade-by-decade cycle of plays about the black American experience in the twentieth century. The men who drive gypsy cabs, or â€œjitneys,â€ strive to find honor and accomplishment in a harsh world. When the station ownerâ€™s estranged son returns from prison, their reunion unleashes two decades of brutal, raw emotion. 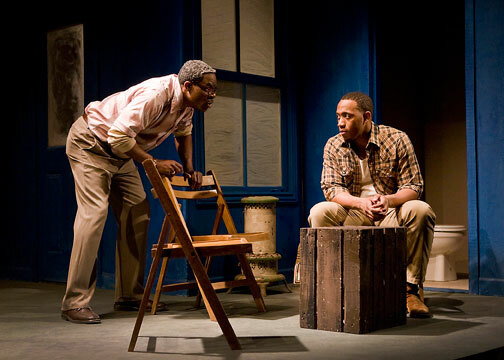 (l to r) Lawrence James and Gil Charleston in August Wilson’s Jitney . Photo by Bella Muccari. 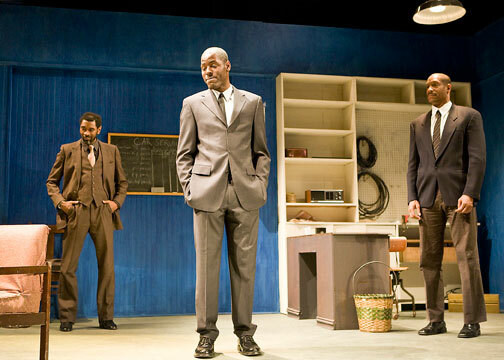 (l to r) Barry L. Johnson, Gil Charleston, and Lawrence Winslow in August Wilson’s Jitney . Photo by Bella Muccari.